Slowly but surely, Tudor has been drawing my attention more so than Rolex these days. The creativity and penchant for producing unique and original timepieces that still hold true to the brand is ever apparent. 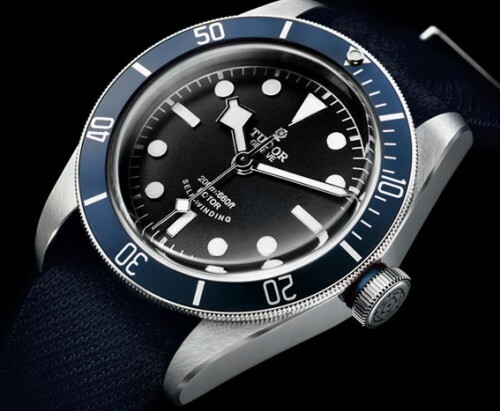 While the new Blue Black Bay (that’s a lot of B’s) from Tudor is hardly unique – its really just a different color – it captures the spirit of Tudor, and its Rolex roots. Here’s the latest video review i’ve uploaded. This is one of the Tudor Hydronaut Prince-Date. This is a relatively rare watch to find in the North American market as it is not distributed in North America. Tudor is a popular brand in Europe as it is seen as the poor man’s Rolex, with most of its peices quite affordable compared to Rolex prices, while still having the distinction of being assembled and built in the Rolex Factories. The two biggest differences are the ETA base movements and the use of more standard 316L stainless steel for the cases. New Tudor Iconaut – Tudor gets big too! Tudor, which is a brand of Rolex, is really starting to be more progressive in their styling. 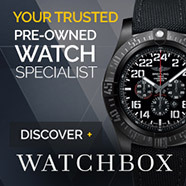 Perhaps Rolex, which is notoriously slow to change, is living vicariously through it’s sub-brand Tudor. Rolex has suprised a lot of Watch collectors with the introduction of the Yachtmaster II last year and this year with the Sea-Dweller Deepsea… and now Tudor releases a watch that is quite different than anything I’ve seen from the brand… the new Tudor Iconaut. Tudor does not have any North American distributors, so the watch isn’t quite as popular out in this neck of the woods. A chronograph with a 24-Hour GMT Hand as well. Nice Chunky bezel in stainless steel, and a chunkier case.. with what appears to be an oyster bracelet. This new watch from Tudor is a whopping 43mm in diameter. Maybe the Rolex Daytona will get this treatment soon too! !